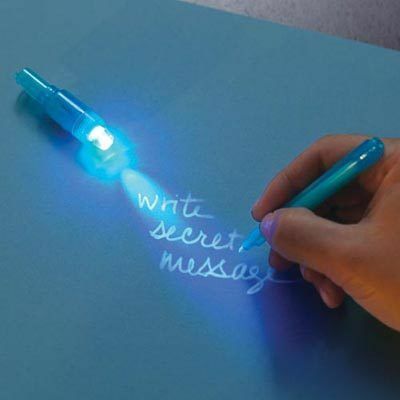 Calling all spies...this smart, sly pen lets you write a message in invisible ink, then read it under the built-in UV light. Order one invisible pen for yourself, one for a friend to keep your communications secret. Uses 3 button cell batteries (included). 5¼"l. For ages 3 and up.